A month ago I bought a skirt on ebay and it arrived today. My plan was to cut it and make frills out of the bottom part. I can still do small ribbons and add them but I am much too lazy now. The skirt was much too long and I cut it. For me the best size was 10cm above my knee. 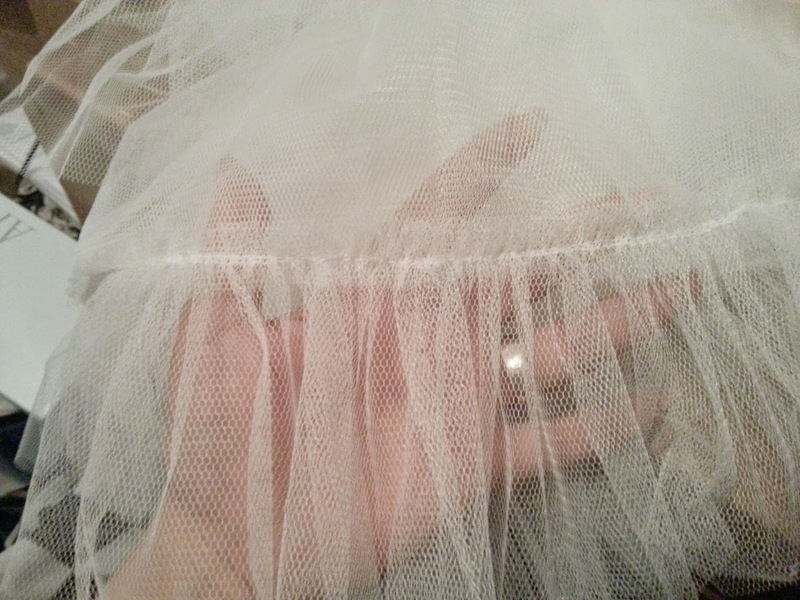 I decided to make two different layers of my frill; 5 cm and 10cm. 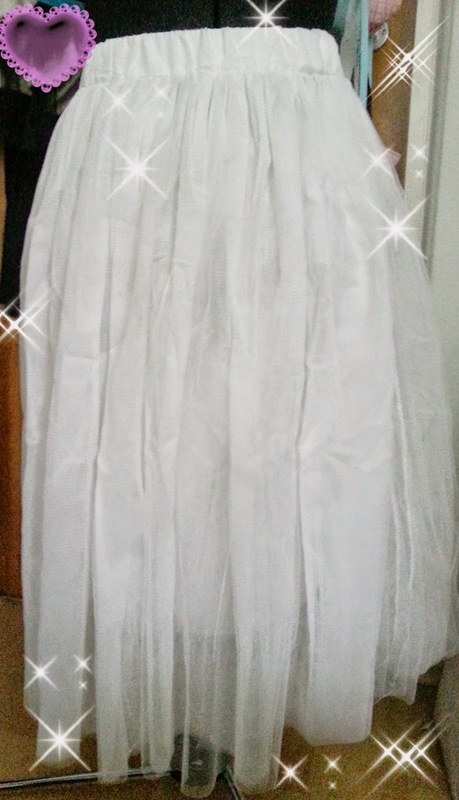 Due to 5 layers of frill, I had a lot of material to do the frills. 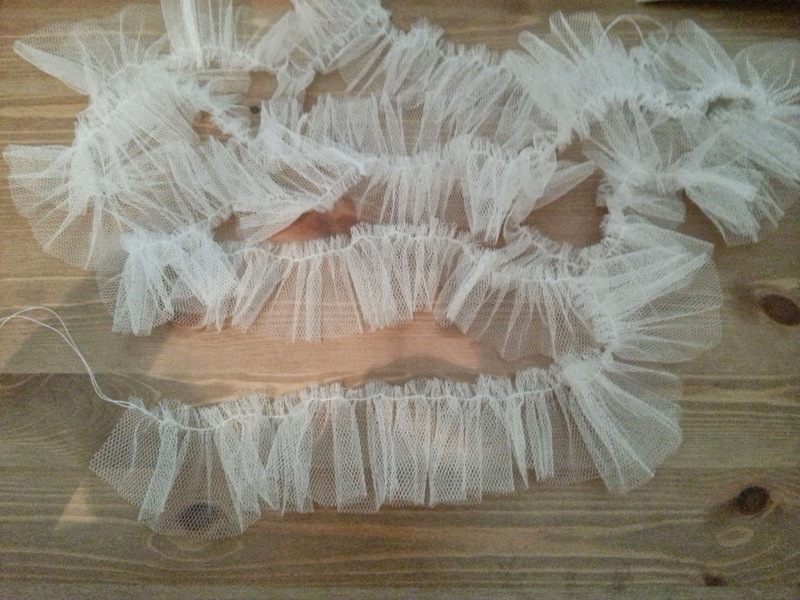 I cut it at one end and stitched it together to make one long frill. Make sure to use all of the layers for the frills. You will need them. Trust me! 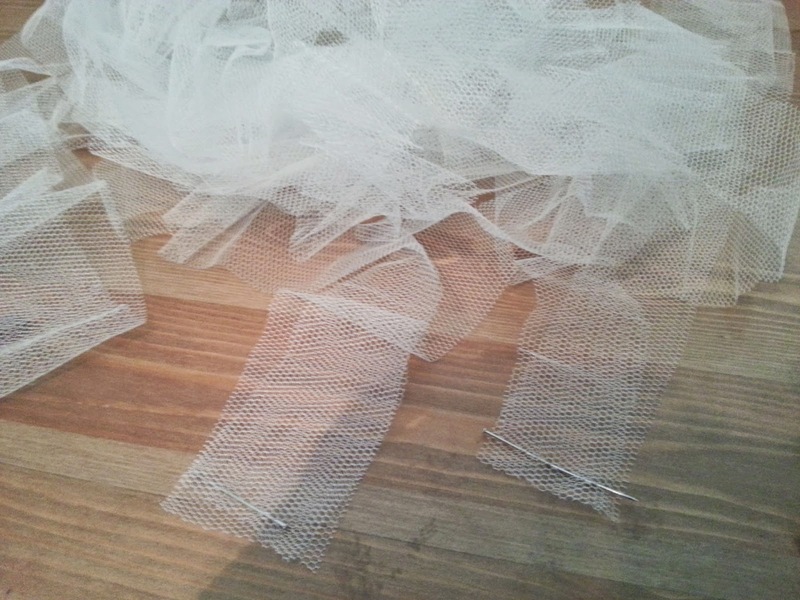 Afterwards I sewed a long line with my largest stitch to frill them. 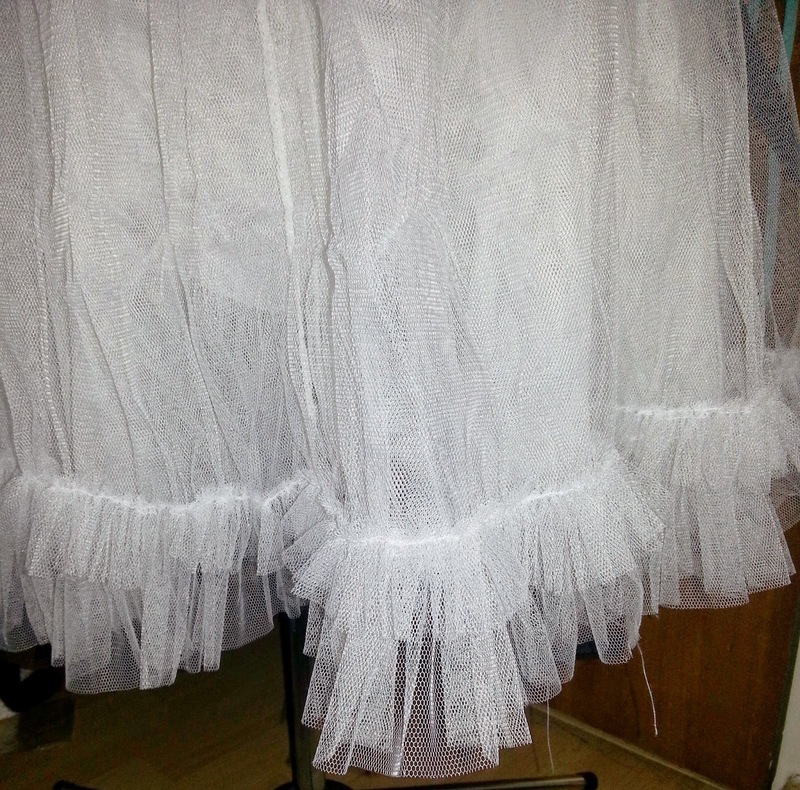 The frills above were made with my machine. 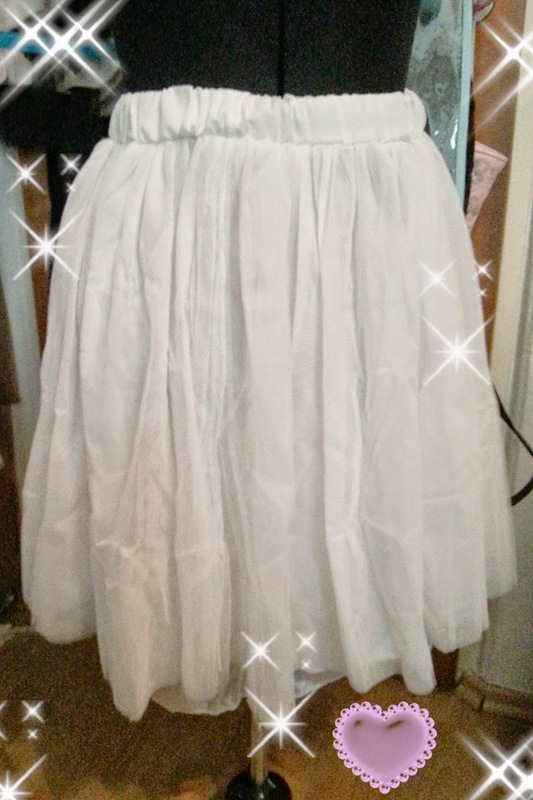 Time to shorten the underskirt! I shortened it by 15cm and zig-zaged the ends. 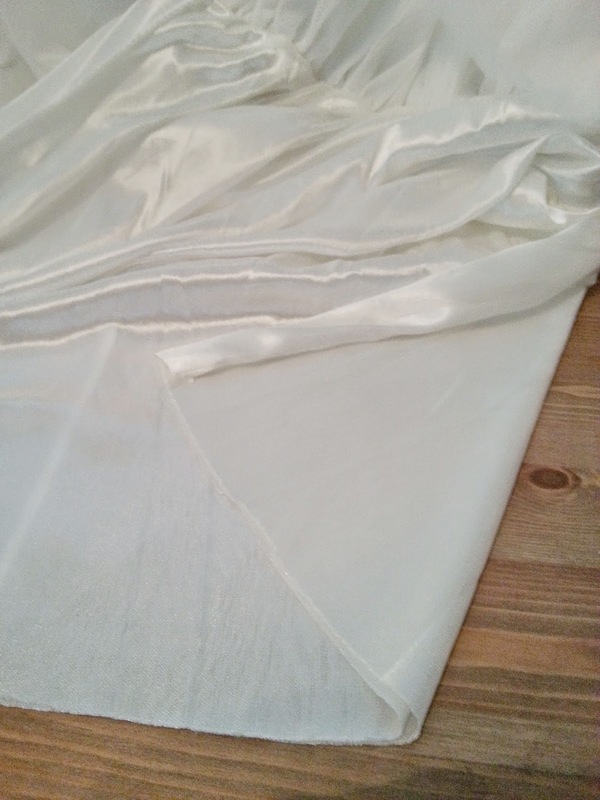 But be careful to use a stitch for flexible fabric. As I said before, I made two layers, but one can definitely also do only one. 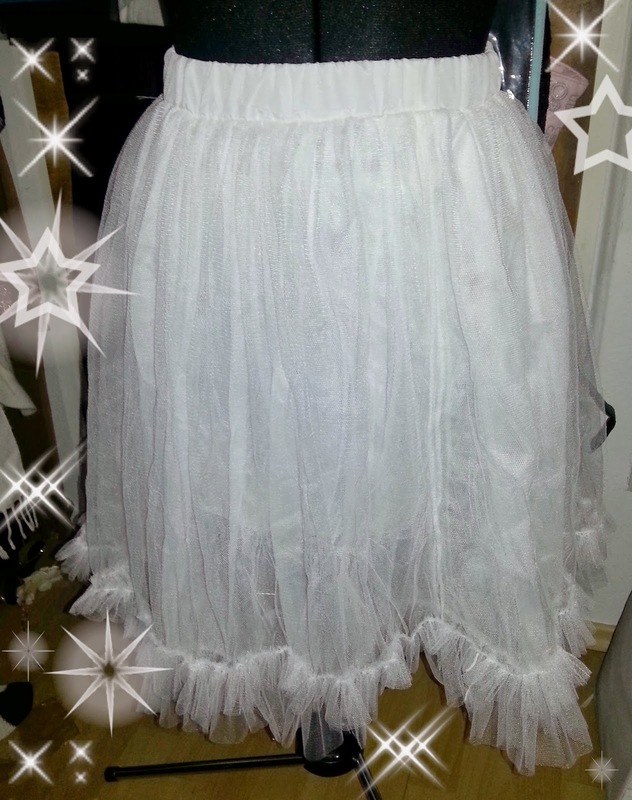 For that I laid aside the top layer and sewed the longest frills onto the rest of the rest (4 layers). You do the same for the smaller frill. Lay it on top of the layer and just sew. And this is the last step. Finished! Satisfaction: 4 out of 5 stars. I will probably add some ribbons! 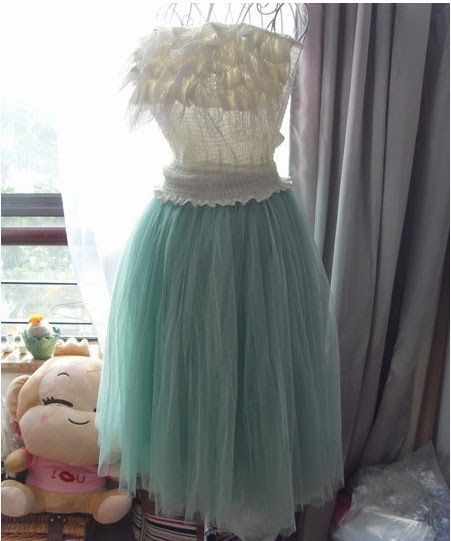 Use it for Mori or cult party kei skirts!